When it comes to getting a vehicle that drivers can use every day and save money on gas with, compact sedans have quickly become the go-to option. 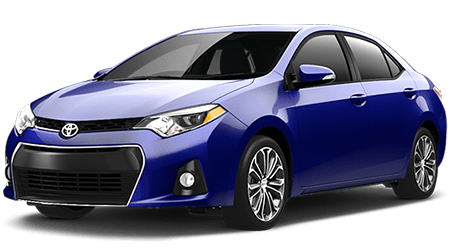 At Lipton Toyota in Ft. Lauderdale, FL, we have a large selection of new Toyotas including the 2016 Toyota Corolla. Our dealership has served Deerfield Beach, Hollywood and Weston, FL for a number of years with our best prices on new vehicles. Stop by Lipton Toyota at 1700 W Oakland Park Blvd. and check out the new Corolla today. The compact sedan segment is filled with a lot of strong competition, so let’s see how the 2016 Toyota Corolla does against the Honda Civic. Buying a new vehicle doesn’t have to be an expensive experience. When comparing these two vehicles, one of them is the better bang for your buck. The Civic starts at $18,490, while the Corolla has a MSRP of $16,900. That’s an initial savings of $1,590 in favor of the new Corolla. For a vehicle that gets you the best for your money, the new Corolla is the compact sedan for you. While both of these vehicles are classified as compact sedans, one possess more interior space and cargo capacity than the other. The Civic offers passengers with 94.6 cu. ft. of interior space, while the new Corolla as 97.5 cu. ft. of interior space. If you value having extra cargo capacity, then the Corolla won’t disappoint with 13.0 cu. ft. of cargo space, which is more than the Civic. When driving a vehicle on a regular basis, you don’t want to have to worry about how many miles rack up. For peace of mind to use the vehicle on a regular basis, Toyota backs the new Corolla with a lengthy warranty. 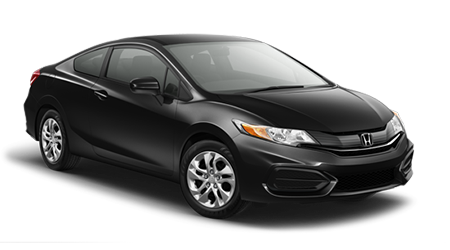 Both the Civic and the Corolla come with a 3-yr./36,000-mile basic warranty, along with a 5-yr./60,000-mile warranty. The Corolla adds a 2-yr./25,000-miles of roadside assistance and 2-yr./25,000-miles of free maintenance. If you’ve been searching for a compact sedan that can suit your driving lifestyle, then the 2016 Toyota Corolla is the vehicle for you. When comparing the new Corolla against the Honda Civic, the Toyota has the upper hand with its more affordable price tag and larger interior space. Visit Lipton Toyota in Ft. Lauderdale, FL at 1700 W Oakland Park Blvd. and discover the new Corolla today.